Includes tom legs. Nothing else in box. Looks orange to us?. APearl Session Studio Classic. These investigations can take several weeks to conclude. Piano Black. /Finish #103. USA depends on your location. The item(s) must be unused and free of any signs of use, wear, stick marks, smudges, and/or fingerprints. USA depends on your location. Amber Burst Eucalyptus/#476. Birch Shell. Deep Floor Tom. These investigations can take several weeks to conclude. The item(s) must be unused and free of any signs of use, wear, stick marks, smudges, and/or fingerprints. Pearl Masters BCX. Your buying a Pearl Masters BCX 8" Mounted tom in a SILVER GLITTER- Finish # 358. Our goal is to create the best sounding drums and SST assures that all shells are perfect acoustic chambers for amazing sound. Tama Superstar Classic Maple. Our highest priority in producing the Superstar series of drums was sound. The full, powerful character and rich resonance of the Superstar drums were achieved by utilizing carefully selected maple shells and focusing intently on shell molding and the bearing edge shape. The Session Studio Classic follows the original Session "recipe" with blended Birch and Kapur shells, recreating the classic "Session sound" of strong attack and projection with outstanding lows and punch that you can feel. Which is why TAMA has the tom you need, want, and can afford no matter how long you've been playing drums or what budget you have to work with. TAMA launched the most affordable drums to ever incorporate so many high-end features - Imperialstar. USA depends on your location. Quilted Bubinga Sunburst. Pearl's 6-ply, 100% maple shells give you the stunning attack, midrange clarity, and low-end wallop, which have made these drums amazingly popular with top players in virtually every musical genre. MOCHA TAMO. Pearl's 6-ply, 100% maple shells give you the stunning attack, midrange clarity, and low-end wallop, which have made these drums amazingly popular with top players in virtually every musical genre. Pearl Vision VBX. USA depends on your location. Birch Shell. Concord Fade. These investigations can take several weeks to conclude. Finish # 235/. The item(s) must be unused and free of any signs of use, wear, stick marks, smudges, and/or fingerprints. New Taye Drums BS1465 Standard Brass 14x6.5 Snare Drum. We are an authorizesd Taye Drums dealer with one of the largest inventories of Taye Drums gear in the USA. Why buy from us?. Knowledge, experience, service, and of course the best prices around. Tama Silverstar. USA depends on your location. Birch Shell. Brushed Charcoal Black/NEW. These investigations can take several weeks to conclude. The item(s) must be unused and free of any signs of use, wear, stick marks, smudges, and/or fingerprints. 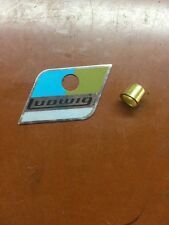 Ddrum Reflex. Your Buying a Ddrum Reflex 14" Floor Tom and is finished in Blue Ice. Alder Shells. These investigations can take several weeks to conclude. The item(s) must be unused and free of any signs of use, wear, stick marks, smudges, and/or fingerprints. USA depends on your location. Pearl Sessions Custom SMX. Maple Shell/#281/. CARBON MIST. This 28% thinner shell produces the tonal purity and increased resonance of Pearl’s legendary Masters MMX, while projecting with the vibrant power of the thicker MRX series. 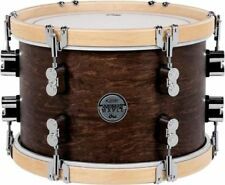 DW Design Series, Rock Maple Cherry Satin laminate 9 x 12" Rack Tomw/ mount. You don't see orphan DW drums up for sale sans the full kit, very much, which makes pricing this drum fairly a bit difficult. It is as nice and quality sounding as any drum I own. (I just looked through the array of DW toms for sale. ). 14 x 14 in. or 18 x 16 in. Product Overview. Tama Starclassic. USA depends on your location. Molten Brown Burst. Birch/Bubinga 8" Mounted Tom. The item(s) must be unused and free of any signs of use, wear, stick marks, smudges, and/or fingerprints. Tama Starclassic. USA depends on your location. Charcoal Onyx. The item(s) must be unused and free of any signs of use, wear, stick marks, smudges, and/or fingerprints. These investigations can take several weeks to conclude. USA depends on your location. Legs are included. - 6mm Tom And Snare Drum Shells. - 2 Ply Clear Tom Batter Heads. 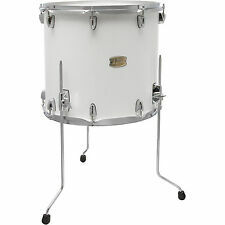 The Original Seamless Acrylic Drum. 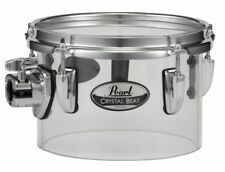 In 1973, Pearl set a benchmark in the drumming world with the introduction of Crystal Beat. Your Buying a Ddrum Reflex 14" Floor Tom and is finished in Copper. Alder Shells. These investigations can take several weeks to conclude. The item(s) must be unused and free of any signs of use, wear, stick marks, smudges, and/or fingerprints. 16X14 FLOOR TOM WITH LEGS, HEADS, ETC. 10X8 TOM WITH HEADS. KIT INCLUDES. 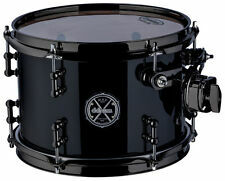 Drum Craft Series 5 Hard Coal Tom 8" X 7". Birch/Poplar Wood. Does include Tom Mount. Being Sold As Is. Your buying a Pearl Masters BCX 12" Mounted tom in a Golden Bronze Glitter- Finish # 357. Our goal is to create the best sounding drums and SST assures that all shells are perfect acoustic chambers for amazing sound. 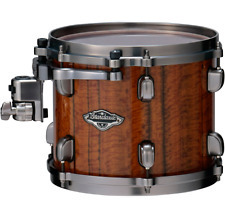 Tama Starclassic Birch/Bubinga. USA depends on your location. Black Star Sparkle. The item(s) must be unused and free of any signs of use, wear, stick marks, smudges, and/or fingerprints. These investigations can take several weeks to conclude. /Finish #152. 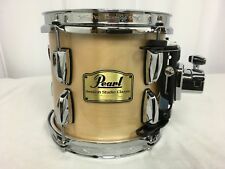 “Pearl was first-to-market with a synthetic-fused organic drum shell, and produced a tone that would define the sound of the recordings of that era.”. To further sculpt the tone of these unique drums, a sharp 45-degree edge is cut on the toms of each kit, while the bass drums feature a fully-rounded bearing edge. This drum has amazing tone, and a wide variation of tuning so you can play it however you want. Here is your chance to get this amazing drum while we have it. USA depends on your location. Pearl Masters MCT. Bombay Gold Sparkle. Pearl’s Superior Shell Technology utilizes a proprietary technique for achieving the ultimate air chamber. It begins with select woods chosen for their unique acoustic attributes, milled to precise thickness with overlapping scarf joint seams, for a perfect air-tight fit. Pearl Masters MCX. Our goal is to create the best sounding drums and SST assures that all shells are perfect acoustic chambers for amazing sound. • Bridge Type Masters Lugs. /Finish #280/. • Pearl's exclusive SST Superior Shell Technology. USA depends on your location. Pearl Sessions Custom SMX. CRANBERRY FADE. Maple Shell/#291. This 28% thinner shell produces the tonal purity and increased resonance of Pearl’s legendary Masters MMX, while projecting with the vibrant power of the thicker MRX series. Bearing edges and shell construction were carefully chosen for each individual drum. This tom has an all Maple shell and sounds great. 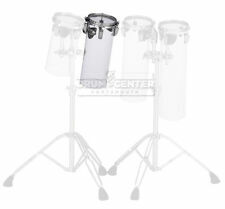 This kit has the class, functionality, and quality to stand toe to toe with higher priced custom drums in the market. Pearl Masters MCX. Your buying a Pearl Masters MCX 13" Mounted tom in a Navy Blue Sparkle- Finish # 199. Our goal is to create the best sounding drums and SST assures that all shells are perfect acoustic chambers for amazing sound. SATIN AUBURN. Beginning with our 13" tom and larger, Mahogany is added to the inner plies to increase the lower frequencies and accentuate the warmth of the Maple. 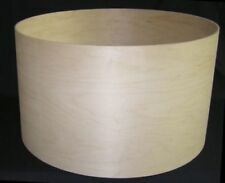 Our 18" and 20" bass drums use 4 inner plies of Mahogany with 2 outer plies of Maple. USA depends on your location. Pearl Vision VB. Arctic Sparkle/#700/Special Order. The item(s) must be unused and free of any signs of use, wear, stick marks, smudges, and/or fingerprints. These investigations can take several weeks to conclude.